(1955-59 'Modern/Crown') (52:24/18) 'The second release in Ace Records' extensive CD reissue series of B.B. King's LPs for the CRown label between 1957 and 1963, with bonus tracks including previously unissued material * ' - Vermutlich mit seiner regulären Band (einschließl. Bläsern) aufgenommenes Album, das von Ace für diese Neuveröffentlichung um Aufnahmen aus einem ähnlichen Zeitraum ergänzt wurde / probably recorded with his own touring band (incl. horns). For the bonus tracks, Ace has selected recordings that retain the ambiance of the LP compilation. When T-Bone Walker was the father of electric blues guitar, then BB is King of the noble Lord who brought them to the people. During an unsurpassed recording career that has lasted for over six decades, he has invented the guitar licks that define the genre. Born in the heart of the Mississippi Delta near Itta Bena on September 16, 1925, Riley B. King T-Bone took as one of its starting points on the guitar. 'But there were others like Lemon Jefferson - we called him Blind Lemon - Lonnie Johnson, Charlie Christian and Django Reinhardt,' says BB 'These were the people who were most influential.' The slide guitarist Bukka White, a star of the pre-war blues, was a cousin of his mother and an early mentor BB King wanted to imitate Whites singing Slide sound, but without using a bottleneck. hit in 1952 recorded elsewhere in Memphis. 'When we asked the' Three O'Clock Blues 'did, we took him to the YMCA,' says BB King. 'The Bihari Brothers, for which I recorded when they came into town, usually applied with portable recording devices, such as. B. Ampex 600. So what in the way. Them put on in any empty space we could find. 'His next R & B chart-toppers of 1953, BB in a more professional environment to Bill Holfords ACA Studios in Houston. Since BB King was already on tour and not a deejay at WDIA more. The arrangement of Woke Up This Morning (recorded with the band of tenor saxophonist Bill Harvey, which included the pianist Connie Mack Booker, bassist James Walker, drummer Ted Curry, four horns and a conga player) changes afloat between a crisp Latin-rhythm and correct Swing. BB King had progressed since his debut recording light years, both vocally and on the guitar (as a comparison with the earlier recorded and very similar title My Baby's Gone proves). As B.B. King had come really in motion, he was on a safe way to coronation as the undisputed 'King of the Blues'. King became a tour fighter with unmatched endurance and took a huge amount of material for the RPM label the Bihari brothers, including one hit after another. Please Love Me was Kings second No. 1 R & B hit of the year 1953, where he fulfilled his dream, the sound of a slide guitar imitate only with his fingers, with a Houserocker à la Dust My Broom - he achieved the cutting attack by a to use Elmore James, without a bottleneck or retune his guitar. Please Love Me originated - like his previous chart toppers Woke Up This Morning - in the ACA Studios in Houston with his blaster studded touring band under the direction of tenor saxophonist Bill Harvey. Much like today electric guitars were in those early years do not come cheap, and BB was very close to his - strong enough to risk his life to try to save them from the flames. 'I always played in a place called Twist, Arkansas' he says. 'We played there for a while every Friday and Saturday night. When it rained, even on Sundays, because if it rained, the people did not have the next day to work. Twist is a small Plantagenort. In winter it was pretty cold out. So they took what looked like a large trash can. They filled halfway with paraffin. They lit the kerosene, and we used for heating in winter. The people who got there there regularly, usually danced around the container and never touched him. But on this particular evening began to argue two types. One of them struck the other, so that he fell on this vessel. Thereafter, the kerosene flowed over the soil. It was already burning, it looked like a fiery river. So all ran towards the front door, including me. But when I got out there, it occurred to me that I had raced without my guitar. So I ran back to fetch it. When I did that, the building began to collapse on me. So I almost lost my life while trying to save her. The next morning we found two men who were burned there. We also found that the two guys had quarreled over a woman. I've never met them, but we learned that she was the cook and Lucille said. So I gave my guitar named Lucille to remind me never to do something so foolish. I always say, you can get a different guitar, but no other BB King! 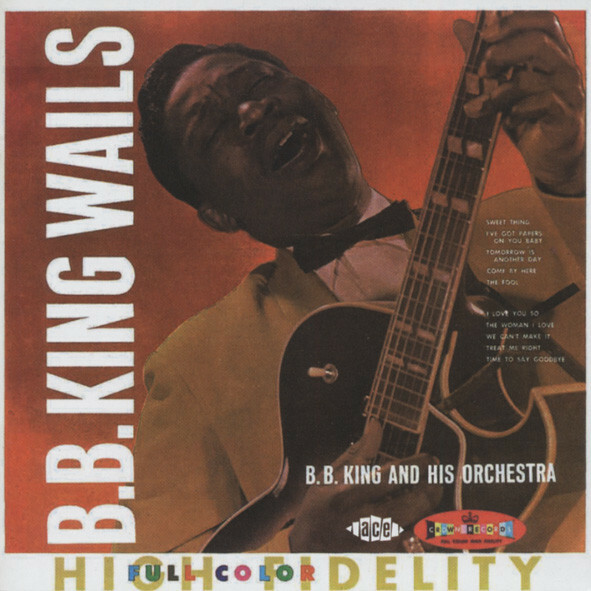 'After he had recorded a bunch of groundbreaking hits for the RPM and Kent labels the Bihari brothers in LA, which have become a significant part of the vocabulary of the electric blues guitar, as we know it today defined, BB went King in 1962 as one of the major record labels ABC-Paramount. Why then was his biggest sales success of 1964 back to Kent? Showed place for 34 Rock Me Baby in the pop charts, that the Biharis knew better than the suits at ABC, how to get the best out of their former artist? Before he left Kent, had B.B. added a reservoir of titles, from which the Biharis were able to draw for years to compete with its new releases on ABC directly. But why it had taken so long, until they dug Rock Me Baby? The no-frills straight stomper was rougher and more economical than the more polished production techniques, the ABC for their new signing applying Deten (which is probably a major reason was why BB had landed any major sales success for his new label). In contrast to BB Kings mostly driven blower recordings he was accompanied at Rock Me Baby only by a rhythm section (Maxwell Davis, Jimmy McCracklin and Lloyd Glenn are all mentioned as possible pianists when recording). The roots of Rock Me Baby go up to Arthur 'Big Boy' Crudup 1944er-Original Rock Me Mama back, although BB King might emanated from the 1950 recording Rockin 'And Rollin' the Texas blues guitarist Lil 'Son Jackson - or by a combination of two. The original Kent single lists BB King and Joe Bihari (under the pseudonym Joe Josea) as the authors, not Big Boy or Lil 'Son, what was common practice in Kent. As B.B. In 1960 with his new recording of Big Joe Turner's 1952 hit Sweet Sixteen had a huge success, were the same author's name on the label - without the actual composers mentioned, the Atlantic Records founder Ahmet Ertegun-. BBs Rock Me Baby is the definitive version of the Songs- Otis Redding moved to a hot cover, which was dominated by Steve Croppers malignant guitar, and countless others followed. BB King holds his guitar licks short and concise, exactly on the spot he had now his solos limited to the essentials and did not waste a single note. The mood is similar to classic 1960 Kings Crown album 'My Kind Of Blues', on which he was accompanied only by a trio headed by Glenn. 'That was my favorite album,' says BB King. 'Because we went one evening with a rhythm section to the studio and took it easy on one or two takes. We did the whole LP actually one evening, in a few hours. It was just fun to play. 'Like no other blues guitarist of his generation watched BB King the musical trends and adapted his own approach accordingly. Thus it remained stable over a long period at a wider audience more popular than most of his musical contemporaries. Sometimes, however, this resulted in images that enhance his sound rather diluted instead of him. But mostly the modernization of BBs sound were well implemented and kept him in the R & B charts, and frequently brought him even in the pop-lists after him in 1970 with The Thrill Is Gone made ? ?a major crossover success (found on the next CD ). 'If you do nothing that is so similar to what is played today, then your disks are not imposed. I learned a long time ago, 'he says. 'Sometimes I get criticized for things that a blues singer, a blues player should not play according to some people. But I think, they should criticize me yet. I play what I feel. I play what I like. I did that already, when I took the 'Three O'Clock Blues', and so I'll keep going.' BB King had the 1962 step by Kent label the Bihari Brothers, where he was marketed exclusively for R & B audiences (his Crown LPs for the Biharis were all cheap price Albem - not exactly conducive to self-esteem), the major label ABC -Paramount daring. The company had black artists with pop potential as Lloyd Price, The Impressions and Ray Charles under contract, but BB took several years until he was able to establish itself in the R & B fans after the exchange. Sometimes his qualities were sunk in overloaded arrangements, but in 1964 made ? ?ABC during his legendary album 'Live At The Regal' everything right ('Blues Is King', a live recorded in Burning Spear Night Club in Chicago successor, was even hotter). Also, the two-piece Do not Answer The Door (1966) and the hissing Paying The Cost To Be The Boss (1968) were strong singles that sold well. BB King has worked with superstars outside of the blues scene, as he recorded in 1973, the meandering, consistently held in Moll To Know You Is To Love You, the theme song of an LP, the BB brought closer than ever before in the spheres of soul music. Producer - Arranger - keyboardist Dave Crawford gave the guitarist the smooth, sweeping Philly Soul sound, when including it with the elegant rhythm section that powered the non-stop hit machine of the city at that time: Earl Young (drums), Ronnie Baker (bass ), Norman Harris, Roland Chambers and Bobby Eli (guitar) and Larry Washington on congas. As a guest could be heard on the keyboard the co-author of Stevie Wonder, whose shimmering electric piano BB Kings underlined vocals crisp. Wonder had the song with his then-wife Syreeta Wright wrote for her 1972 album MoWest 'Syreeta', and he appeared to her as a single. BB, the old pro, made ? ?from To Know You Is To Love You 1973 a # 12 R & B and # 38 pop hit. B.B. 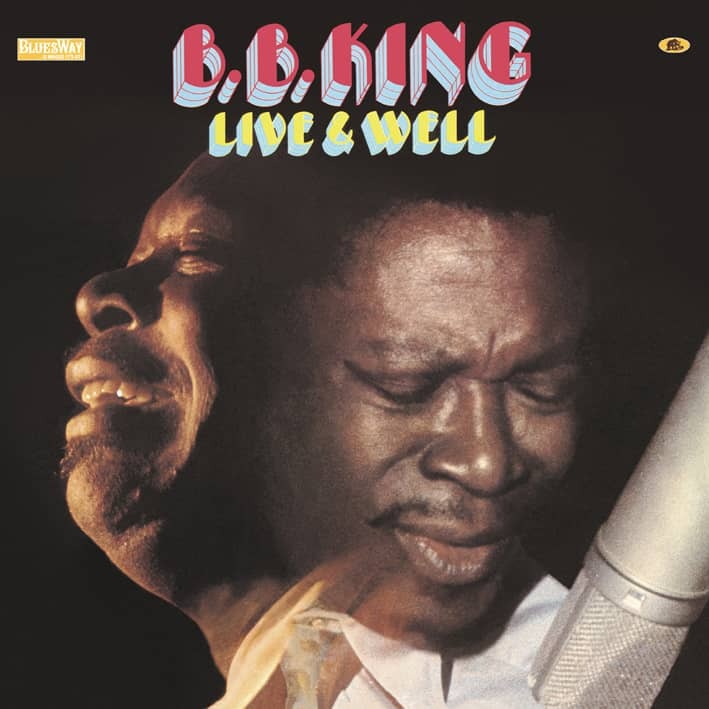 King After two decades of very lively recording activities and a mountain of R & B hits penetrated BB King 1970, with its classical interpretation of a rather obscure Blues by Roy Hawkins finally in the consciousness of the broad mainstream American audience. Maybe it was the impressive strings, gentle minor mood or the winning combination of Kings incisive voice and his tight, just played to the point guitar licks that he took out from his 'Lucille' (no one said so much with so little tones). Probably it was all together. In BB King The Thrill Is Gone hands immediately became a Blue Standard. B.B. had never done it before at # 15 pop hit parade, but the beginning of 1970 it was with The Thrill so far. Also the 3rd place in the R & B charts put the Blue veterans certainly satisfied because BB never let his dusty sound. Hawkins, a blues pianist from Richmond, California, was the beginning of the 50-year member of the same family Modern Records label, which also includes BB gehörte- he came in 1951 with the song he had composed with the Galveston, Texas-born songwriter Rick Darnell, # 6 on the R & B charts. The two authors had the misfortune to The Thrill was now so forgotten that they were not initially correctly stated on BB Kings retake as composer. Instead, Art Benson and Dale Pettite conceding the royalties that had eventually wrote the still obscure title The Thrill Is Gone (From Yesterday's Kiss). B.B. revised the dark blues in any case completely and thus opened up a whole new audience. 'Better late than never,' says King. 'I think it was time to do at the time. Because I have not done anything different. 'B.B. had The Thrill Is Gone for a long time in mind and was thrilled that he record it in June 1969 in the Hit Factory in New York with Paul Harris on keyboards, Jerry Jemmott on bass, Herbie Lovelle on drums and Hugh McCracken on second guitar could. Producer Bill Szymczyk of ABC Bluesway did not share his enthusiasm until he heard the Rohaufnahme and came up with the idea of ? ?adding strings. When The Thrill Is Gone as a single as well as the final culmination of BB Kings' Completely Well'-LP was released, some Blue purists were horrified. 'I was criticized by some people who said:' Oh, BB King of the Blues with violins! 'But they did not realize that I had made long before that in the 50s songs like 'My Heart Will Always Belong To You' and stuff like that, where strings and a choir were there, 'says King. 'I must have done ungefährt eight or ten tracks with strings and choir. At that time there was no crossover success, so I guess it was just time. I think the song was good. 'Suddenly B.B. Guest in the 'Ed Sullivan Show' and other well-known U.S. television broadcasts. Szymczyk produced later the Eagles. B.B. was long before he recorded The Thrill Is Gone the BB King of the Blues - and it is further. Since then he has had many more hits and still touring tirelessly around the globe. But this recording is more than any other to become his recognition titles - no other song has made him so famous. 'We were already before slowly perceived by the pop audience,' says the undisputed King Blues. 'But when we' The Thrill 'made? ?, really opened us the doors.' Bill Dahl PLUG IT IN! TURN IT UP! Electric Blues 1939-2005 - The Definitive Collection! - "Plug It In, Turn It Up - Electric Blues 1939 - 2005" on Bear Family Records has the prestigetraechtigen prize in the category 'Best Historical Album' get at the Blues Music Awards in Memphis, Tenne Lake of, on 9 May. The unique, 12-piece CD documentation provides the first comprehensive look at the history of this important genre, regardless of frontiers, show the individual record companies. Our author Bill Dahl from Chicago was there and accepted the award in front of about 1,300 blues musicians, journalists and fans. The Blues Music Awards, which are awarded annually in Memphis for the best blues publications, are recognized worldwide as the most important award and are also called 'Oscars of the Blues' called ..